Should You Move to Mexico? 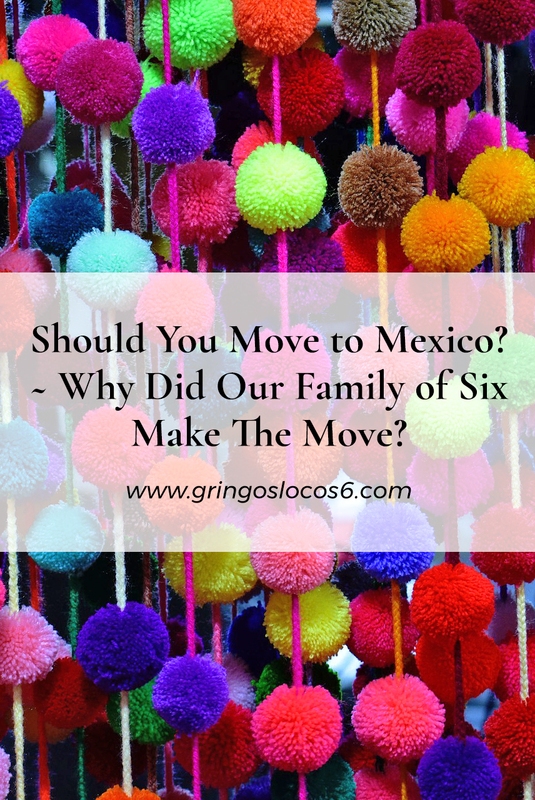 - Why Did Our Family of Six Make The Move? Should You Move to Mexico? – Why Did Our Family of Six Make The Move? UPATED 7/16/18 – Our move to Mexico was not a quick decision or an easy decision. Most people wonder how and why we ended up here. 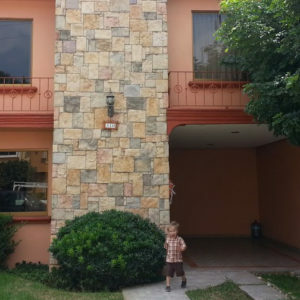 I wrote a little about this at the beginning of this blog, but in this post, I will detail the reasons we decided to move to Mexico. Maybe it will help you decide if you should make the move. Brad and I have always been independent and adventurous. We love to travel, especially me… I want to see the world! When Brad applied for Social Security Disability Insurance in 2010 due to the effects of his brain injury, we started to wonder what would come next for our family. With SSDI you can reside in most countries and receive your benefits via direct deposit to a US bank account. Over the next couple of years, while we waited for Brad’s benefits to be approved, we researched Spanish-speaking countries where the cost-of-living is lower than in the US. The American Dream for us was a daily financial struggle and Brad’s health couldn’t take it anymore. We knew we loved the Spanish language and culture after spending three years prior, 2006 through 2009, in a Spanish Bible congregation. But that wasn’t enough. Fast forward to the year 2013. Brad’s SSDI was finally approved, after hiring a lawyer and standing before a judge. By then, I was pregnant with our fourth child. We were settled in Louisville, Kentucky. We had lots of “stuff” weighing us down. All of our family lived close-by. We were in a Bible congregation we loved… the dream seemed impossible so we put it in a box and packed it away in the back of our minds. Several months later we had a visitor at our Bible meetings for a week of special activity. During this visit, we watched a new video at our Kingdom Hall. It featured couples that had moved to various countries to expand their Bible ministry. One couple had two children. Brad and I locked eyes. We were thinking the same thing. The money would not be a problem if the cost-of-living was lower and we could stick to a budget. Brad’s income was fixed. If this family could do it, why couldn’t we? Well, we had four children, not two, and there was Brad’s health to consider. What if he had a terrible seizure and we needed our family? We left the dream packed in its box but this time it stayed in the front of our minds. We had a plan to buy a larger home, (probably not the smartest idea, with bad credit and bad health), move closer to our Bible congregation, and move away from the city schools. The following weekend we attended a three-day district convention covering many Bible topics. There were several talks that caught our attention, stressing the need to live a simple life and put God first. We knew this would bring us more happiness as a family. Buying a bigger, more expensive house would not bring us joy. We were tired of stress and materialism. Brad’s health was suffering. Despite being on disability, he still had to work part-time to pay the bills. Brad talked to an old friend that was visiting from Mexico. Bill was in his 80’s and loving it there. 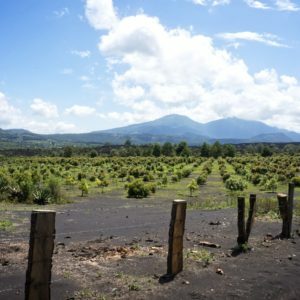 We talked with a family living abroad in Nicaragua that was visiting for a few months. They have two small children. It wasn’t easy to move away, especially with kids, but it was possible. We had been pondering this for a long time and praying for God’s direction. When we went back to our hotel, Brad told me, “Let’s do it. Let’s sell everything and move to Mexico.” We unpacked the dream that night and never looked back. Sure there were plenty of things to consider, such as health problems and schooling for the children, but it could be done. We were making the move. PS Now that you read Part One, go read Part Two! This sounds exciting. I always wished my family could do this, pick a destination and just set new roots. You have me excited for your journey, so I’m off to read post 2. I have to see what happens, lol. Hi! What a neat read!! My family is living in Argentina but my husband is Argentine and we met at my brother’s wedding in Argentina because he had met his wife doing missions. Your story reminds me of my sister and brother-in-law and their love for Spanish and they almost went to Mexico to do mission work but God had other plans for them. How have your children adjusted? I can imagine they have picked the Spanish up pretty fast. My children are 5 and 3 (twins) and the twins have been here longer than they were in the United States so I always tell people I think they know more Spanish words but my 5 year old is bilingual. It is neat how God works things out and how he laid that on your hearts (about going to Mexico) and how He kept pointing you in that direction until you answered His call! Shannon where are you from? How long have you been in Argentina? I hope that our kids are bilingual as well. That is the plan! They are learning but I feel like we might need to pick up the pace a bit! Maybe I need to work on this a bit more in the home! That has got to be an adventure of a lifetime. My parents moved us (seven kids and two parents) from Trinidad to America. I was 14 when we moved. I have to see what happens on your journey. Wow! What an adventure! It will be a great experience for your children to be exposed to another culture and learn a different language. As far as language is concerned we are thinking about enrolling the boys in school! Sawyer would start this year but Tristan has a few more years to go… I am hoping if we do this they will quickly pick up on Spanish! How exciting! My dream is to run away to a Caribbean island, get rid of all my winter stuff and live in a perfect climate year round. :) Until that happens, I do visit the islands every year to get my fix. I think it takes a great amount of strength to follow your intuition about things such as this and how wonderful that you and your husband have each other in this journey. Many of us wish for a simpler life, but are distracted and don’t sit down to question what we really need. I wish you the best on this path. Such a great opportunity you took on to share with your family, and experience that will be talked about for years. This will be such an interesting experience for your children. I like the idea of living somewhere without snow, but I don’t think I’d have the courage to do what you are doing. I look forward to reading more about your journey. Guess what Mary? We had hail today! My husband took a little video of it and put it on Youtube. The workers across the street were taking pictures with their cells because they had never seen hail before :-) And this morning I did see some snow high up in the mountains! Just a little dust on the peaks. It was pretty! This sounds like so much fun. We moved a few states away but we have never been out of the country. Good Luck with your amazing family adventure. This is my first time living outside the US Amy! I was born in Michigan and moved to Kentucky when I was 11. Now I am in Mexico! Who would have known??? I love House Hunters International. I love the idea of moving away, living on a fraction of what it costs to live in our town and live in a beautiful new country. I don’t believe that I’ll ever leave, but I love hearing/reading about others who do this. I think it’s great that you’re doing it with your family. Meghan you are not alone! I was not so sure myself but it’s seems to be a great decision so far. We have been here a year and a half and have not had any problems thus far. I hope it stays this way! What an adventure! I applaud your courage and motivations and trust that your faith will see you through. Muy bien!! Wow, what an adventure! Looking forward to reading more about your story. What a wonderful adventure! Reading this makes me have a bit of wanderlust! We are working on building several income streams so we aren’t tied down to any one place and can travel to places for extended periods of time. It makes me so happy to hear when people “unpack” their dreams! Kids learn brilliantly while they are small, and it stays with them all their lives. They don’t have the ‘baggage’ grown ups do they will have the best fun when you move! The beginning of your journey is very exciting. I look forward to reading more about your move and your life in Mexico. Our family lived in Sicily and Italy when our children were young and we’ve never regretted it. Life overseas was an adventure that gave us and our children a firsthand experience with other cultures. We had a wonderful time and reminisce all the time about the places we went and the things we did. Our family was also a homeschool family. (Our children are now grown adults.) Although, our two oldest children did go to public school overseas for awhile. Congratulations on making such a brave decision to live your life to the fullest. Enjoy your time in Mexico and make lots of beautiful memories. Thanks Charlie! I hope that one day we can visit Italy. I want to see Rome and Pompeii very badly! I think you’re wise to consider enrolling your kids in school in Mexico, as you mentioned in another comment. Although homeschooling is great, your kids will soak up Spanish in a flash if they are enrolled in school there. They’ll also have many more opportunities to make friends, which is especially important in a new country. It sounds like a wonderful adventure! Thanks for the encouragement Kara. I will miss my little men, but it’s only half a day and I think it could be very good for them. We are keeping our eyes open for reasonably priced schooling. Congratulations on taking that step and leap of faith. Ecxiting times ahead for the family no doubt. I think the most difficult thing to do is really to uproot yourself (much more your entire family) from things that are comfortable. I salute you for having done it and for making this adventure! Making the decision was a little nerve-wrecking but once it was made we felt great :-) Of course I miss my family terribly but I am hoping to see them very soon. What a great story and congrats on your exciting lifestyle change. It took a lot of courage and faith to make such a big move. Wow! This is such an awesome story. You truly have blessings, and I appreciate you sharing these. We are blessed and sometimes I have to remind myself of this! It is easy to focus on the bad when you are feeling down in the dumps, even here in Mexico. A really brave decision. And I look forward to reading more about your experiences after the big move. It’s amazing how all the little things work together to bring you to one big decision. You can see God’s hand working in this. Heather it did all come together rather smoothly! It was amazing how things fell into place. I look back and I still believe it was with God’s direction. You are an inspiration. I would love to “start over” It’s a scary and difficult decision. I applaud you for making the big step. This will be an experience for a lifetime for you! Living in a different country with such a different culture and values your children will likely grow up to be more well rounded individuals because they’ve been immersed in a completely different culture than their own. Bonus points: they will be bilingual which is a HUGE advantage in life! Congrats on making such a courageous decision! I’m think it’s awesome that you left everything to follow your dream! It sounds like fun! I admire you for your decision & your work. HE had a plan. I like that you said buying a bigger, ore expensive home would not create happiness. You are so right! We downsized over the summer & we are happy w/ our decision to do so. What a great move! I have a good friend that lives in Mexico. I have always wondered if a person on Social Security Disability could move to another country and still collect SSD and you have answered that question for me with your husband getting it. Wow. Living abroad is fun and something I miss. Maybe someday again. Treasure your moments and have fun on your mission in Mexico. It’s great when your family shares the same dream. Best of luck with your adventure! I admire your boldness. 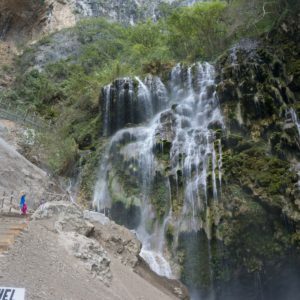 My husband has been wanting to move to Ecuador for several years. He went on a mission trip there once. We also have 4 children. We do homeschool, so that wouldn’t be an issue, but we are not on a fixed income like your family. My husband would have to find a new job there, and I have just never shared that desire with him. I know it disappoints him. I continue to pray that God will change my heart’s desire if it is truly where He wants us to be. Good luck to you all and God bless you. 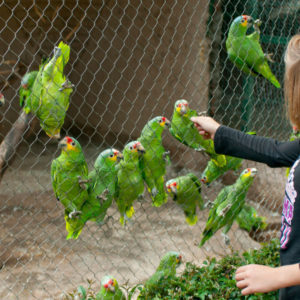 What a wonderful and purposeful adventure for your family. I must admit I do not have an adventurous spirit, and could never imagine moving abroad, but I know a few families who have made the leap and really are living happily ever after! I am impressed by your courage and faith. This month on my blog I am focusing on the character trait of courage, and I think your story defines courage in many ways! Praying that God blesses your family! Wow!!! I commend you, moving to another country takes a lot of courage. Good luck! I know you and your family will do great, and it will give your kids an incredible experience. Great read. We also have a family of six and are exploring the idea of a similar adventure. Just preliminary at this point…but this has been an inspiration to us! Thanks! Wishing you happiness in your new Mexican home. My brother left the United States for Costa Rico and enjoys the Pura Vida lifestlye there. What a fun adventure for your family! Have fun and treasure it!! wow!! and my family and I moved from Mexico to US. For many many reasons, but we may go back to our roots. Of course, I´m reading part 2. Actually I´m subscribing to your blog! Good for you- you talked about it and did it! I think sometimes we regret more the things we fail to do than the things that we do. What a wonderful adventure! Life is too short to not follow your dreams, and you’re doing just that! I’m so excited for you and your family. I also love travel and always dreamed of living abroad, but it hasn’t happened yet. I’ll have to live vicariously through your blog! Thanks Jen! I hope one day you are able to live abroad. It really opens up your horizons! We came on holiday to Vancouver BC and decided on the second day that this was where we wanted to live & bring up our children. We returned to the UK & started the process straight away. Everyone thought we were crazy but once that decision was made – admittedly without very much thought at all – that was it, we were going. Now we have lived here 12 years, are Canadian citizens and have had two more children. Always follow what is in your heart! Awesome! I am glad it worked out so well for you :-) It nice to hear of a happy ending of living abroad. Congratulations – you’re an inspiration to anyone who wants to do anything big. I’ve dreamed about living abroad for years – thanks for the reminder to push ahead! Wow! more power to you! Keep your dream in the forefront and don’t let anything stop you! You are so courageous for taking on this adventure! I am sure you would be immensely blessed and I am sure God has amazing things in store for you! I love this post! I’ve lived in Cali all of my life and I want so bad to relocate to another state. I admire you for making this move. I wish you and your family the best!